Published May 9, 2014 at 400 × 610 in Federal Government. 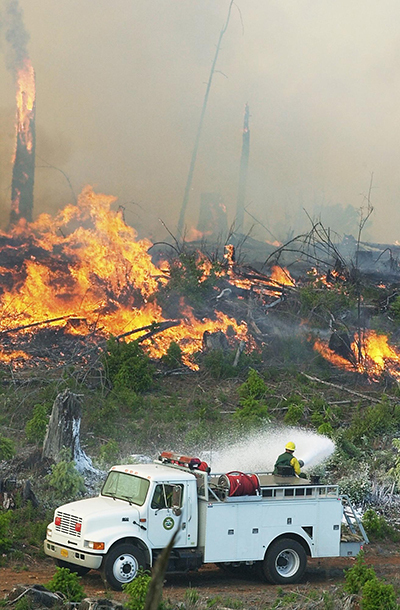 State foresty crews attempt to cut off the head of a wildfire in western Oregon. The fire started as a slash burn but east winds pushed sparks into brush piles, timber stands and newly planted trees.